Autobiography, as evidenced by best-seller lists, is one of the most popular literary genres. However, because critics have long dismissed it as subpar literature, little attention has been paid to autobiography, particularly accounts by women. 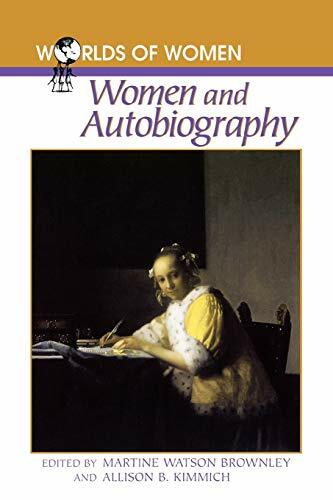 Women and Autobiography, edited by Martine Watson Brownley and Allison B. Kimmich, offers an insightful perspective on this often overlooked field. This text gives a compact, comprehensive overview of women's autobiography, providing historical back-ground and contemporary criticism along with selections from a range of autobiographies by women. Developed primarily for undergraduates, Women and Autobiography combines theory and practice by pairing autobiographical selections and criticism. This book is a useful tool for courses in autobiography, literature by women, and women's studies. Martine Watson Brownley is Goodrich C. White Professor of English at Emory University. Allison B. Kimmich is assistant director of the Women Involved in Living and Learning (WILL) program at the University of Richmond.